From time to time, parents and carers may have concerns about their son or daughter's education and/or well-being at school. Quite often this is due to a misunderstanding about school policy or practice. Sometimes a child may be behaving unusually at home or at school and/or expressing their own concerns. Whatever the situation, we would encourage you, and/or your child, to talk to us about it at the earliest opportunity so that we can help sort out the problem. 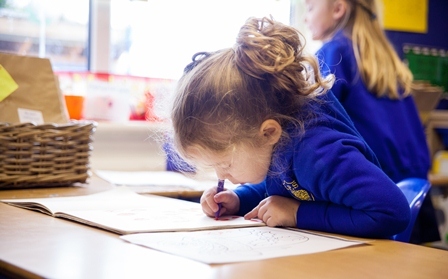 If it’s your child’s academic progress or an issue around your child’s well-being (for example, bullying or other anxiety), that you wish to speak to us about, please make an appointment, through the School Office on 01702 544342 or in person at the office, to see the appropriate teacher in the first instance. We hope that we are able to resolve problems before they become complaints. If concerns arise, please make an appointment to discuss these with the class teacher. Should difficulties continue please make an appointment to see the Headteacher. If a complaint cannot be brought to a satisfactory conclusion a formal complaint can be made to the Governors. A copy of our school’s complaints procedure is available below.